Justin, Ethan, and Josh hang out with the live chat audience after the Death in Video Games episode to make sure Josh doesn’t kill Justin. Also – preparing Ethan for Germany, selecting games for streaming, indie game review policies, Terraria, and more. Aftermath Episodes – The mics stay on after the show ends as the conversation continues and live chat interacts with the cast. 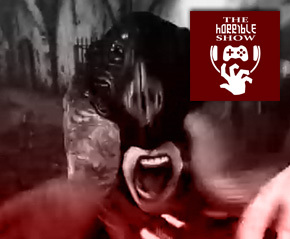 This show was recorded live on Twitch.tv/HorribleNight. Live podcasts are featured monthly. View the archived video. Subscribe to the Horrible Show – New Episodes every Wednesday.